The Happiness Inn is located in between the Rainbow Bridge and the Whirlpool Lower Bridge in Niagara Falls, Ontario. This motel is only a short drive along the Niagara Gorge to all the attractions located along the Niagara Parks and Clifton Hill. Also the Happiness Inn is near the historic area of Niagara-on-the-Lake, Ontario. This Niagara Falls motel is complete with 33 rooms and suites, providing a unique Niagara Falls experience. The Happiness Inn offers guests excellent rates on rooms with great amenities. Ideally situated near the attractions at the Falls and the historic area of Niagara-on-the-Lake, this Niagara Falls Motel is perfect for all types of travelers. All the attractions on Clifton Hill and the Niagara Parks are only a short drive south of the Happiness Inn. North of the motel is the grand historic area of Niagara-on-the-Lake, where guests can shop, dine or enjoy the scenery. 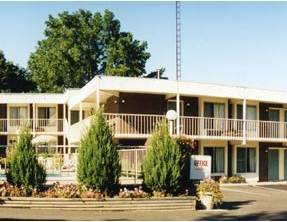 With 33 guest rooms available, the Happiness Inn features a variety of room types, queen or double bed rooms and suites , along with great amenities such as self controlled heating and air conditioning, free local calls, Data port for internet access, Colour Cable Televisions with remote and over 60 channels. Other hotel amenities include the garden and picnic area, and the Large outdoor heated pool, open for seasonal use. Refrigerators, Microwaves, coffee makers available on request.